Overclocking changed when Maxwell GPU's hit the market, We hinted at it on the software page but before we get into the EVGA GTX 960 OCing specifically let's talk overclocking and the differences between pre-Maxwell and now.Previous generations of GPU's before Maxwell OCing was pretty simple, pour voltage and cooling on the core and up the clock until a program like Riva tuner reported artifacts, then you backed down the OC until the artifacts went away, tried decreasing voltage a little, kept an eye on thermals and if thermals weren't a problem and no artifacts showed up you had a good OC.Maxwell changed the OCing scene for GPU's with its Power Target Control and now excess power can hinder your overclock so there's a little added complexity. GPU's have pre-set frequencies, clocks that are set by Nvidia and or the manufacturer. Those clocks tick away just like the hands on a normal clock at predictable and precise ticks.Generally clock cycles are measured in Hz, Hertz can be described as cycles per second so a monitor with a refresh rate of 120Hz refreshes 120 times a second, GPU's operate faster and a GPU that has a stock clock of 1700MHz polls at 1.7 Billion times a second. One MHz being 1 million Hertz that makes sense. Overclocking a GPU specifically means increasing the stock core clock to above the factory preset, often it requires increasing voltage to gain stability. To keep stability the GPU needs a stable core and has to meet TDP or Thermal Design Power.Nvidia and indeed AMD perform tests on their GPU's they call those tests Binning, they test cores to find a good high operating frequency that provides a balance between longevity and speed opting to the longevity side. Overclocking we opt to move to the speed side of the equation and accept the FACT that we are decreasing the lifespan of the core of the GPU by exceeding factory clocks and voltages. In general a little OCing for tests or benchmark runs and dropping back to factory isn't going to reduce the longevity of a GPU much. A day in day out overclock will decrease the lifespan. There are varying schools of what constitutes instability, in the benchmarking and hardware review world there's only one definition. If you find a single artifact during post overclock testing it's an unstable overclock. What causes the artifact? As you increase the speed of the core you also have to increase core voltage, you will quickly find that adding more voltage does no good and the core will go unstable anyway. At that point where voltage is no longer effective and or you get artifacts you have exceeded the speed at which the core can operate in a normal manner.Now you're not just increasing voltage directly to the core like attaching a couple of wires to a battery, the power drips out of your PC's power supply (everyone knows electricity is a liquid or not), then it goes to the GPU's VRM or voltage regulator module, the VRM is a composite beast. Each VRM is composed of a cooling system, fans, heatsinks etc, capacitors, chokes and Mosfets and the end design is to clean the incoming power to a flat level voltage that changes as little as possible.You see both motherboard and GPU manufacturers talking about high quality VRM's, low quality VRM's can't accept much more voltage than stock without contaminating the voltage to your GPU/CPU and as soon as that happens the core goes unstable. High quality VRM's can withstand a little excess voltage giving us OCing headroom. That higher quality VRM setup can only tolerate so much additional voltage and exceeding that will pollute the voltage and again the core craps out. Then in some cases even if the VRM's hold up you will exceed the operating limits of the core and yet again the GPU craps out. 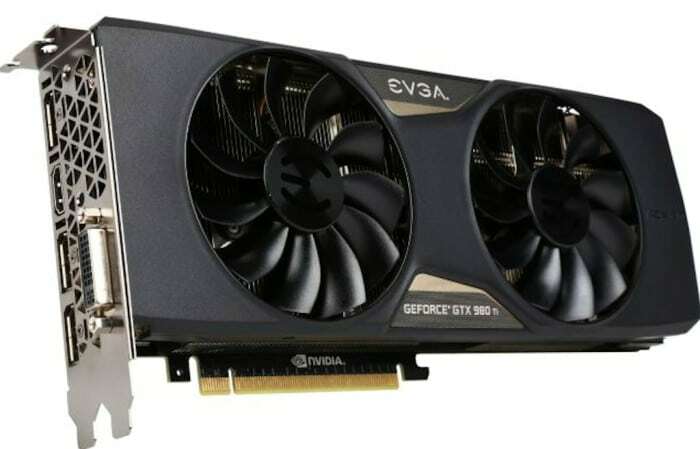 Filling a slot between the Nivida Titan X and the GTX 980 the EVGA GTX 980 Ti SC features 8 Billion Transistors a core clock of 1102 MHz, 2816 shaders, 176 Texture units and 96 ROPs 6GB of GDDR5 memory riding a 384-bit bus. In short it’s Nerd Candy of the sweetest kind. It is pushing 768 more shaders than the GTX 980, 32 more ROPs, 128-bit wider bus width and an having an additional 2 GB GDDR5.On the flip side of that equation the Nvidia Titan X gets 256 more shaders than the EVGA GTX 980 Ti, 16 more texture units, the same amount of ROPs, the same 384-Bit Bus but gets double the GDDR5 at 12 GB. What does all that add up to? The EVGA GTX 980Ti is a lot closer to the power of the Titan X than the GTX 980 is. Now don’t get us wrong, the GTX 980 is one powerful card and we wouldn’t kick 3 of them out of our test bed by any means but a single EVGA GTX 980Ti is enough to game at 4k resolution with the Titan X and everything else we’ve seen struggles with 4k gaming. 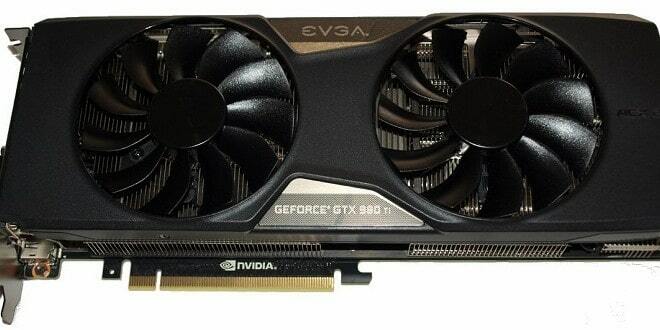 Given the choice of GTX 980 SLI or the EVGA GTX 980 Ti SC ACX 2.0+ we’d pick the EVGA GTX 980 Ti SC ACX 2.0+ hands down. The Scaling in SLI might pick up with Windows 10 and DirectX 12 but scaling still won’t be 100% so we prefer single powerful GPU’s but don’t have anything against running a secondary GPU for Physx..
With DirectX 12 coming out in full force later this year (Late July with Windows 10) DirectX 12 promises to be a game changer for PC enthusiasts. Right now the only way to take advantage of that game changing is an Nvidia 900 series GPU. 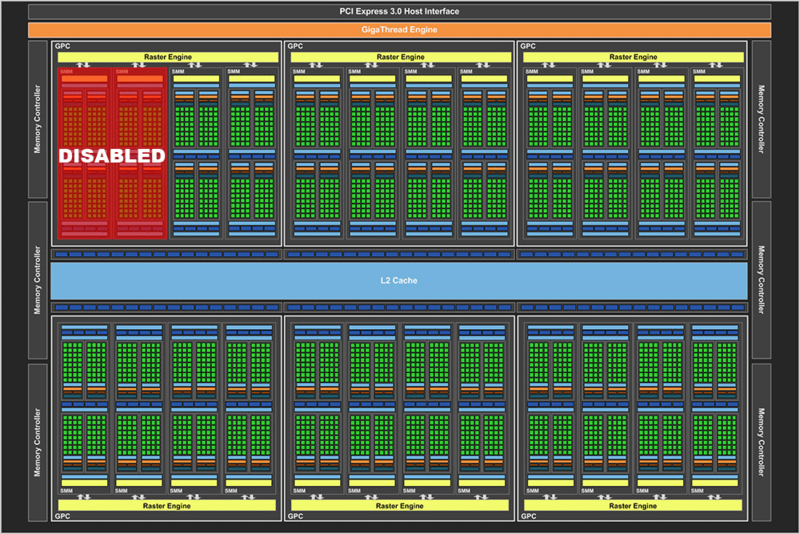 AMD will shortly release its new R9 300 lineup rumored to have HBM GDDR5 and it’s an exciting time in the GPU arena, so exciting it sends this Geek into trembling frenzies thinking about the possibilities. With the Nvidia Titan X out there Nvidia didn’t have a lot of ways to go to flesh out the market positioning. Nvidia did manage to fool us on one point so far, we thought the next card out would be a filler between the GTX 960 and the GTX 970, possibly a GTX 965 with 3 GB of GDDR5 and a 192-Bit Bus with a little more omph in the Transistor and Shaders departments. But nooooooo they had to bring out the puny GTX 980 Ti with tasty models like the EVGA GTX 980 Ti SC which looks much more like a Titan X than it does a GTX 980. Of course a little surgical precision was required to pull off the EVGA GTX 980 Ti SC so let’s look at what got chopped. The surgery wasn’t too painful on the EVGA GTX 980 Ti and we are still looking at GM200 with its 6 graphics processor clusters. 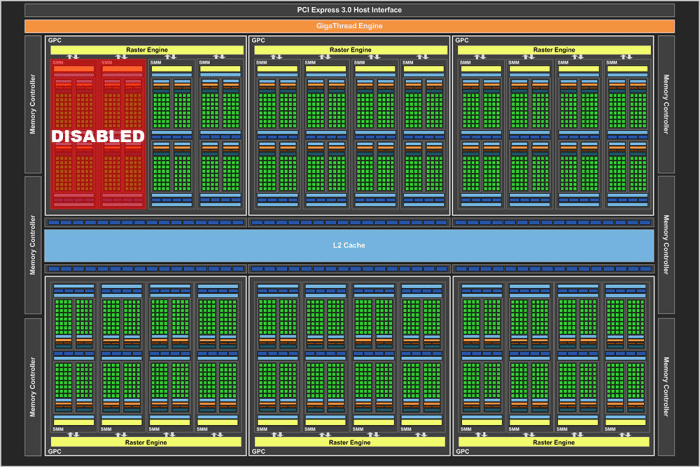 Across that six pack of processing clusters two streaming multiprocessors were sliced away, with 128 Cuda Cores per SMM you lost 256 Cuda Cores leaving that magic number 2816 Cuda Cores. The loss of 8 Texture units per SMM leaves us 16 Texture units shy and the EVGA GTX 980Ti SC is left with a massive 176 Texture units capable of pumping 176 GT/s. The bundle on the EVGA GTX 980 Ti SuperClocked ACX 2.0+ is a bit slim for a GPU of this magnitude. You get a couple of manuals, some snazzy case manuals, a Video Adapter and a couple of power adapters. 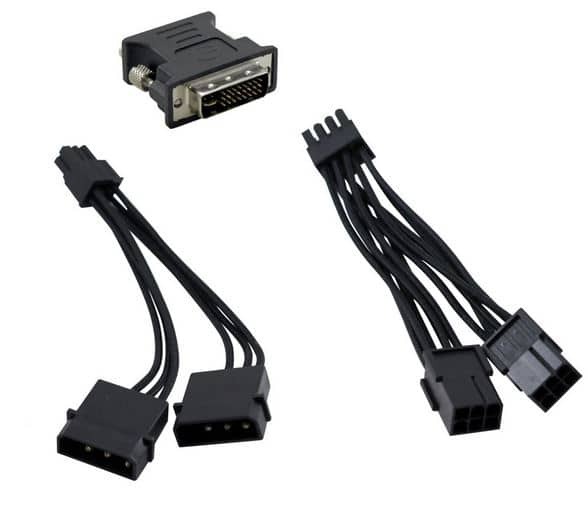 One of the power adapters is a two Molex to 6 Pin PCI-E and the other is a two 6 pin to singe 8 pin PCI-E. There’s also a Get Ready For Pwnage poster (not pictured). Noticeably absent is a SLI bridge and a GPU at this cost should have a SLI Adaptor and an offer for a Triple SLI Adapter should you go insane and believe that you need three of these frame busting monsters. We have some SLI Adapters around the Lab and understand that most end users have no need for an SLI Adapter but at least include a Website Code for each GPU and if you have two (any Model) you get a SLI adapter free. There’s also a case badge on the top right of the box that is likely the best Metal case badge we’ve seen to date. 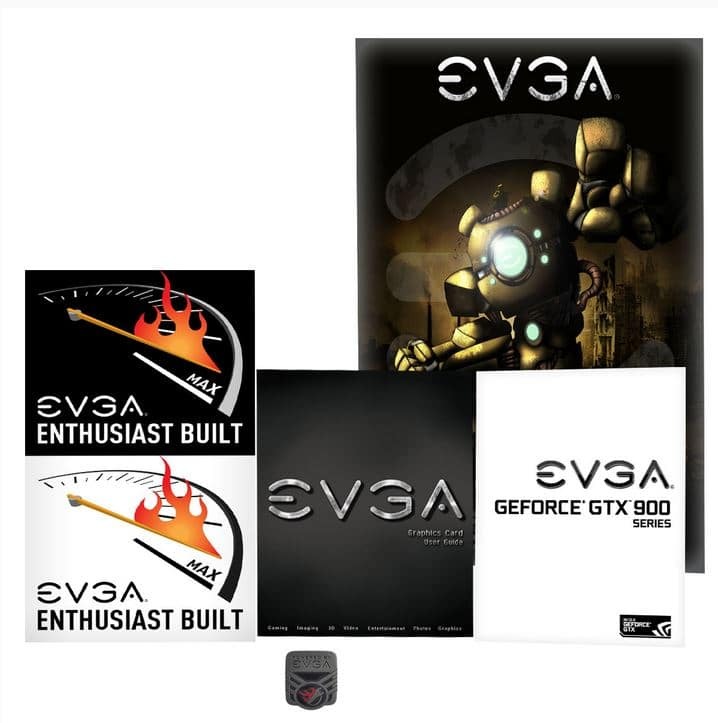 Ahhhhh…next week, I get my new EVGA 980ti SC. This version has a backplate and a voucher good for Batman: Arkham Knight via Steam. Did you just use a camera phone in taking pics for the card? The EVGA GTX 980 Ti is the legitimate son of Titan X and an OCing Goddess and was cast down to Earth to prove to man miracles still exist. Mini Titan X would be a more appropriate name and Nvidia limited the performance hit between Titan X and GTX 980 Ti to a palm full of percentage points.